1. What is Equitable Distribution in NC? Equitable Distribution in NC is the division of assets (property) and debts that were the product of a marriage. 2. My husband and I are separated. How will our property be divided? NC is an equitable distribution state. Equitable means fair. The court will fairly divide your marital property and debt. The property division part of a divorce is called equitable distribution. When there is an action for equitable distribution, the Court requires a list of everything you own in a special affidavit form. This will include your house, your cars, any other real estate, your couches, your chairs, your retirement accounts, your pension, your business, digital assets – even your airline miles. The Court will attempt to determine the value of your property. In cases involving the division of a business, a business valuation is usually done by a professional. The Court will then try to divide them or in legal terms, the court will distribute the marital property in a “fair” manner. This may be called a distribution of marital property. Typically, a fair distribution means that the marital property will be distributed 50-50. So if you have a house that has $100,000 of equity in it, you both get $50,000.00. If one of you cannot afford to pay the other, the house would be sold and the equity split. 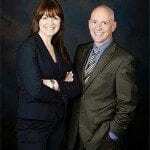 Having an attorney assist you can really be helpful in dividing property. Sometimes you think your spouse is hiding property or you cannot agree on a value. Sometimes, you have no interest in ½ the house but really want all of your retirement. In these instances, an attorney can help you create a legally binding agreement without letting the Court tell you what you have to do. Marital property is anything acquired during the marriage that IS NOT a gift given to only one party from a person outside of the marriage. For example, if your mother gives you a necklace for Christmas it is not marital property. If your spouse gives you a gift it is marital property. Typically, people understand that a house purchased or paid for during the marriage is marital property. People get confused about things that are only in the name of one spouse. For example, a car purchased during the marriage may be only in the wife’s name, but it is still marital property subject to division in an equitable distribution. Where it gets a little confusing is with things that one person owned PRIOR to the marriage and the couple has contributed to during the marriage. For example, if the husband had $4,000.00 in his retirement account prior to marriage and now has $400,000.00 at the end of the marriage. The Court will determine what percent of the increase has resulted from the return on the $4,000.00 that was there at the beginning and what amount in the account is through marital contributions. 4. Is Equitable Distribution taxable? Generally, no. As long as the property (real estate, cash, etc.) occurs within one year of the separation, the law assumes that the transfer happened because of the separation and divorce. If it happens after one year, the law assumes that the transfer did not result from the divorce and the transfer is taxable. However, this can be rebutted by showing that the transfer resulted from a separation or divorce. As long as it did, the transfer is NOT taxable. 5. How are retirement plans divided? Typically, through a Qualified Domestic Relations Order, also known as a QDRO (pronounced quad-row). A regular separation agreement or divorce decree cannot divvy up a retirement account. Instead, a judge must sign a QDRO that has to conform to certain guidelines so the administrator of the retirement account will divide the account. Using a QDRO eliminates the necessity for the party paying to remove funds from the retirement account and thus passes the tax liability to the recipient. 6. I have to pay alimony and child support. Does that impact how we split up the property? No. The laws are very clear that property has to be distributed without any consideration to alimony and child support. HOWEVER, when you are creating a separation agreement or other agreement without the Court making a determination, you can sometimes leverage property against alimony or child support. 7. My spouse died after a claim for equitable distribution was filed; now what? The equitable distribution claim continues on. Prior to 2003, death terminated an equitable distribution claim (unless the divorce was already final and the ED claim was just taking longer). Additionally, if a claim for Equitable Distribution had not been filed before a person died, it could not be filed ever. However, in 2003, the legislature changed the law to say that an estate could file a claim for Equitable Distribution if it was done within a year after death. 8. We divided our property but now we’re back together. Who gets what? 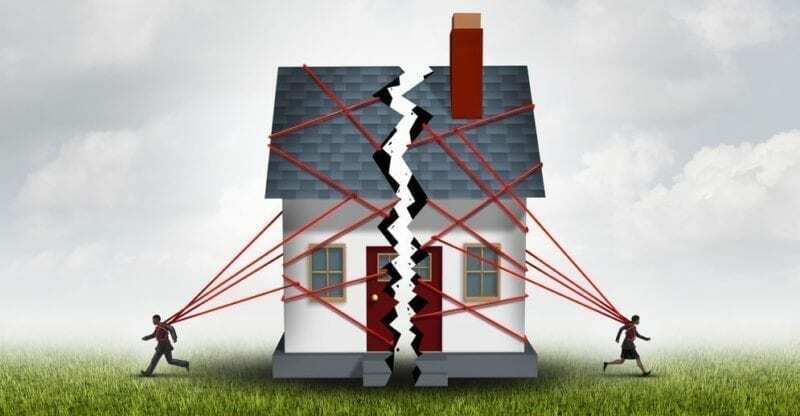 If the property division was an add-on to a separation agreement, meaning that the separation was the primary purpose and the property distribution was secondary, reconciliation may release performance of the agreement. However, if the property division was a contract where the intention is to complete a property settlement, regardless of whether they were to reconcile, reconciliation may void the agreement only to the extent that enforcement of the contract depended on the parties living separate and apart. 9. What happens to the property before an order is entered? Because litigating takes time, and litigating over equitable distribution is no different, it may take many months (or longer) for the Court to determine who owns what. During this time, whoever has possession of the property can use it. If there is a risk that the property will be damaged (or, money will be spent), the Court can issue an Order prohibiting the use of the property. 10. How do you know what I owe? You (and your ex-spouse) complete equitable distribution affidavits listing, under oath, what you own, what you owe, and the value of each item. Different courts require slightly different information and formats, but the basic goal is the same. If you do not plan to litigate, it may not be necessary to complete the equitable distribution affidavit. Generally, however, it is a good idea to make an inventory of your property to help ensure everything is considered.